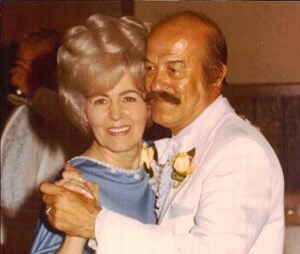 Newcomer Family Obituaries - Donna R. Fegal 1928 - 2019 - Newcomer Cremations, Funerals & Receptions. Donna R. Fegal, 91, was called to her heavenly home January 30, 2019. Born in Canton, Ohio to Raymond C. Stanley and Edith Hazel Nidy. Relocating to Hartville at an early age with her family. Donna graduated from Hartville H.S. class of 1946. Donna worked at Teledyne Monarch Rubber Co. then received her cosmetology degree working part-time. Worked at Greenlawn Group Home for the developmental disabled women. Donna went on to work at Summit County Children's Home Service where she achieved the upmost level in placement of children's care and unconditional love to every child she came in contact with. Donna's accomplishments with the love of children was the highest degree of her many gifts. Alongside of her professional endeavors were the gifts of being a wife and mother. In addition to her parents, she is preceded in death by her husband of 59 years, John; sister, Eileen (Dan) Toris; and brother, James (Naomi) Stanley. Donna is survived by her beloved daughter and son-in-law, Cynthia (Ron) Ferdinand along with numerous nieces, nephews and special friends. Donna was a lifetime member of the VFW Ladies Aux., DAV Aux., Women of Moose, and Allenside Athletic Club Aux. for many years. Cynthia would like to thank Heartland Hospice Services, special nurses and aide Sylvetta, and special caregiver Marcie. Visitation will be from 11:30am-1pm on Tuesday, February 5 at Newcomer Funeral Home, 131 N. Canton Rd., Akron. Funeral service at 1pm. Interment at Hillside Memorial Park to follow. In lieu of flowers donations may be made to Allenside Athletic Club, c/o Building Fund, 2533 Manchester Rd., Akron, Ohio 44319 or Fieldstone Farm TRC (Therapeutic), 16497 Snyder Rd., Chagrin Falls, Ohio 44023. Add your memories to the guest book of Donna Fegal.